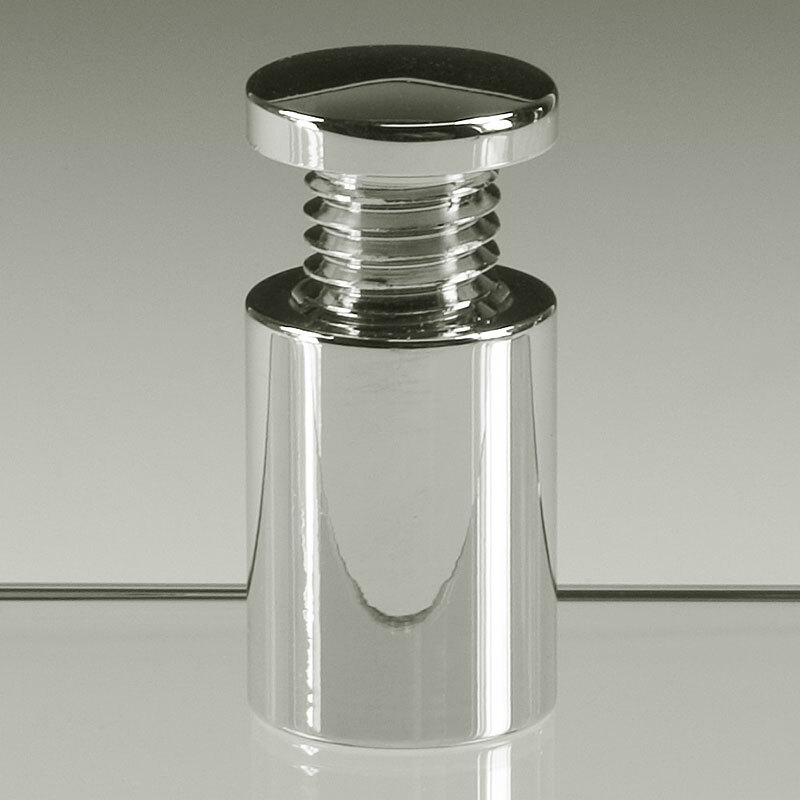 Standoffs with satin silver plated finish offer a softer, more subtle look when compared with polished metal. 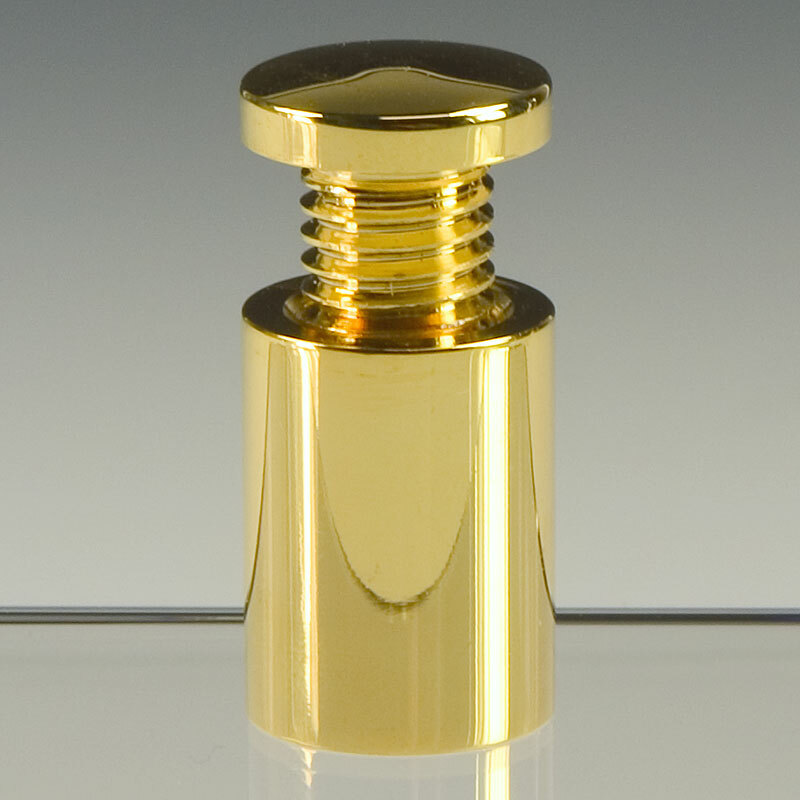 For those who like gold, our high-quality electroplated finish is polished to a mirror-like shine. 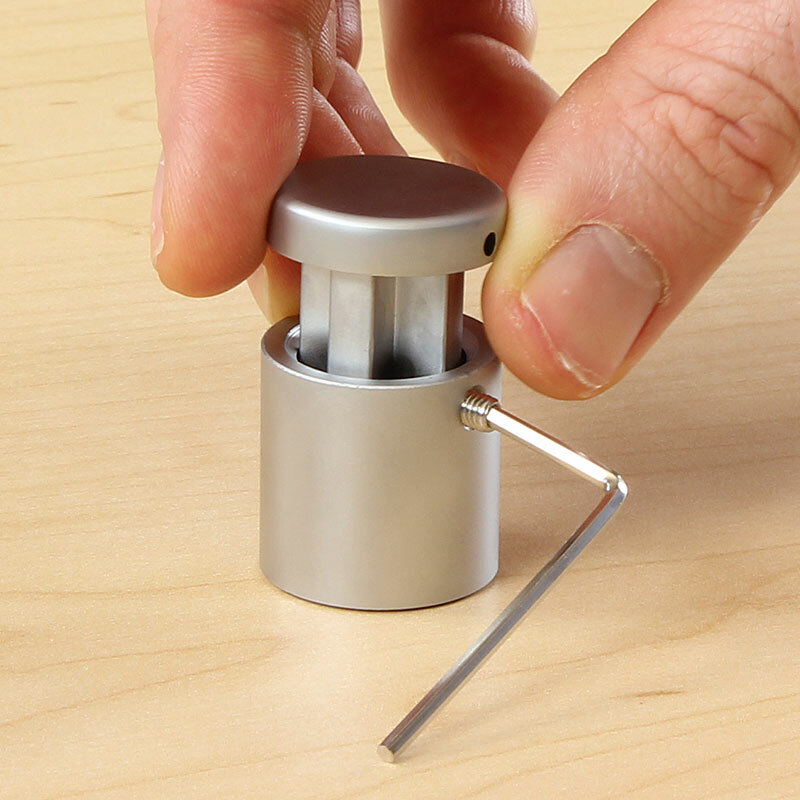 Stainless steel standoffs display their trademark "X" effect as seen on the circular-brushed caps. 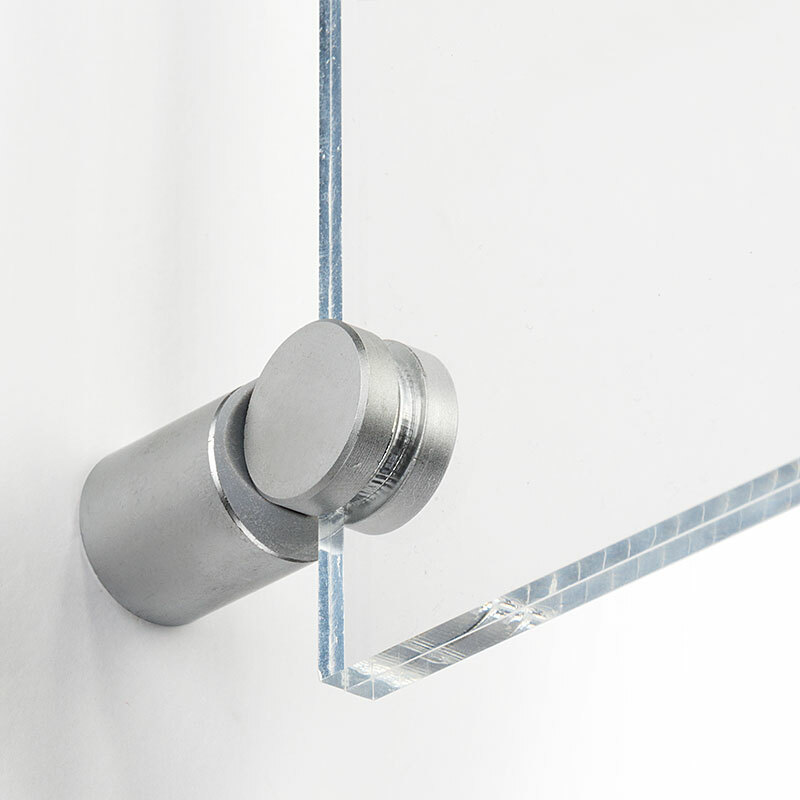 Our aluminum line features expertly machined standoffs with a nod towards more affordability. 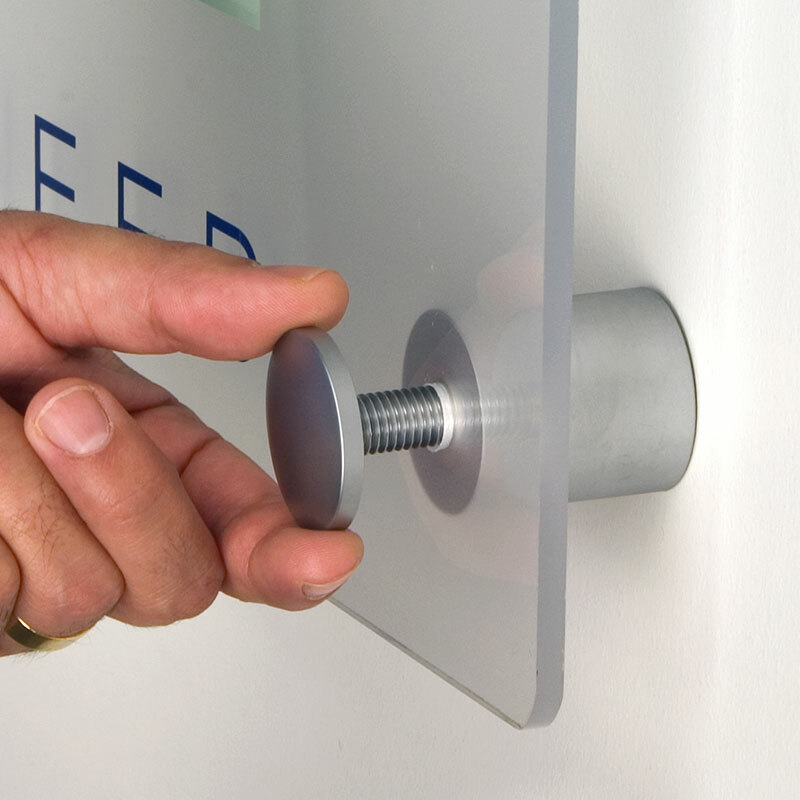 When a bolder presentation is needed, choose chrome-plated standoffs for greater visual impact. 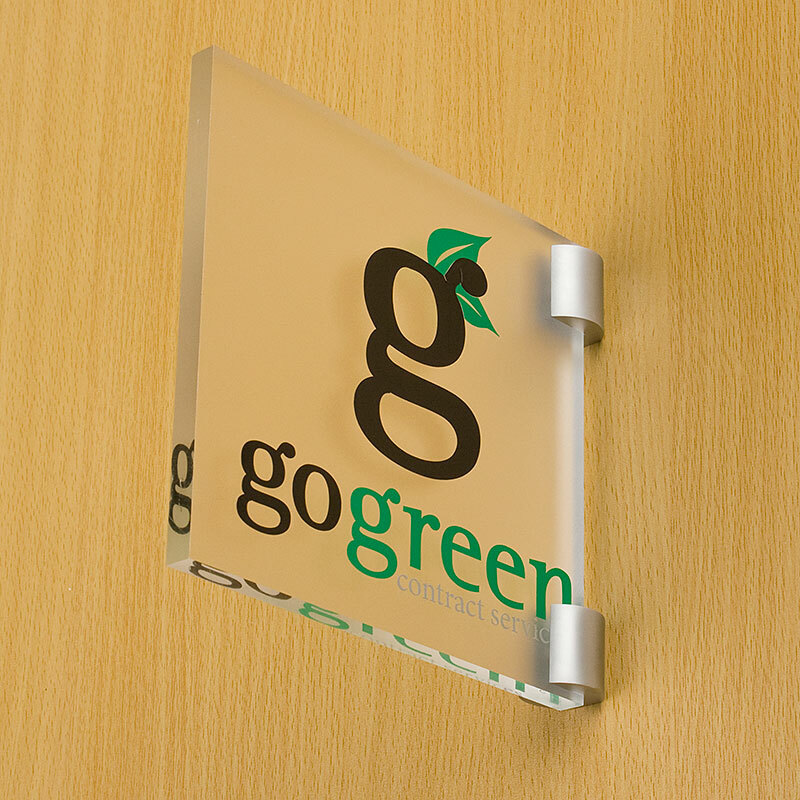 Edge grip standoffs support your sign at the edges which makes for a faster installation: no holes in the sign panel. 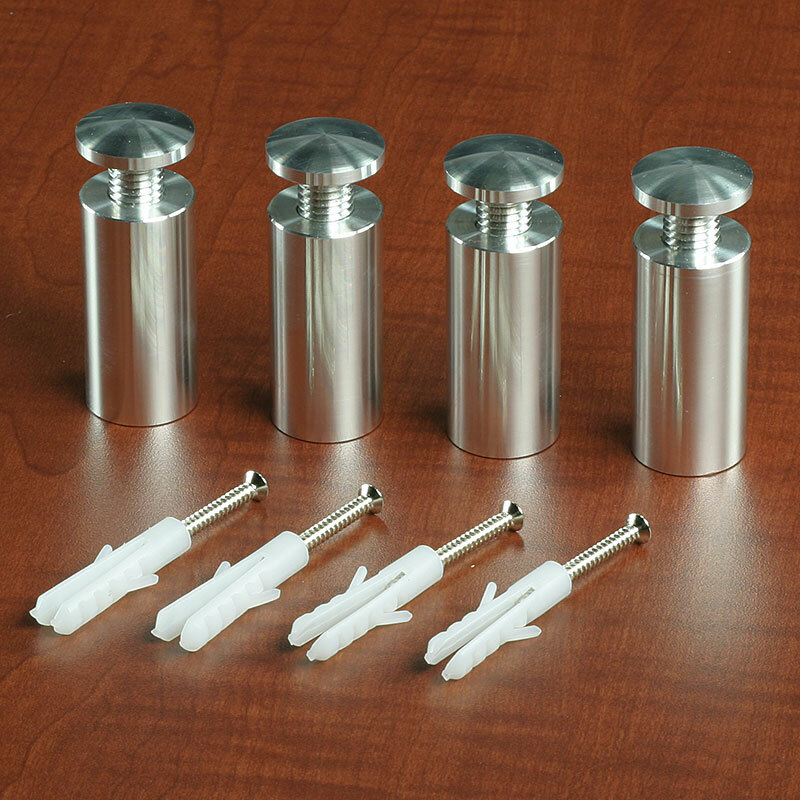 Our decorative screw covers are made of metal, not plastic, and come in many sizes and styles. 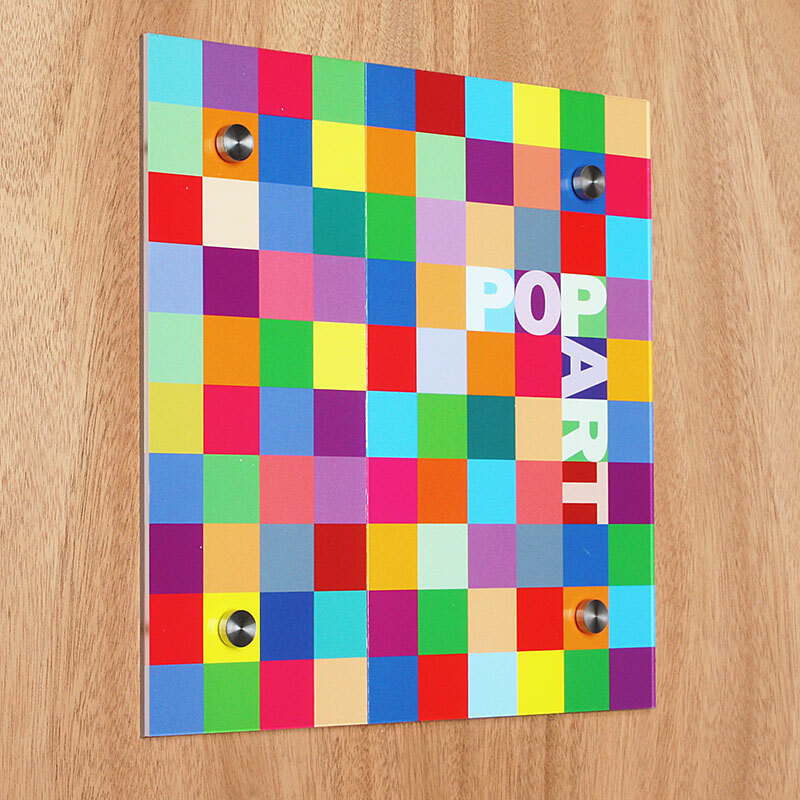 Looking for more finishes? 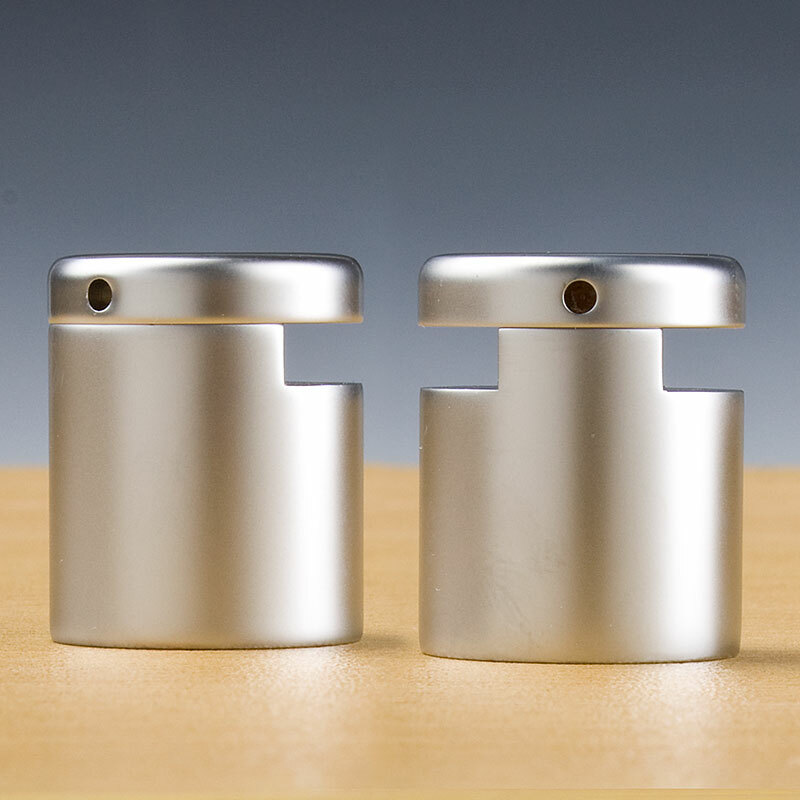 Monochromatic shades come in satin silver, titanium gray, and black. Flag signs mount perpendicularly to the wall, so people can read them both coming and going. 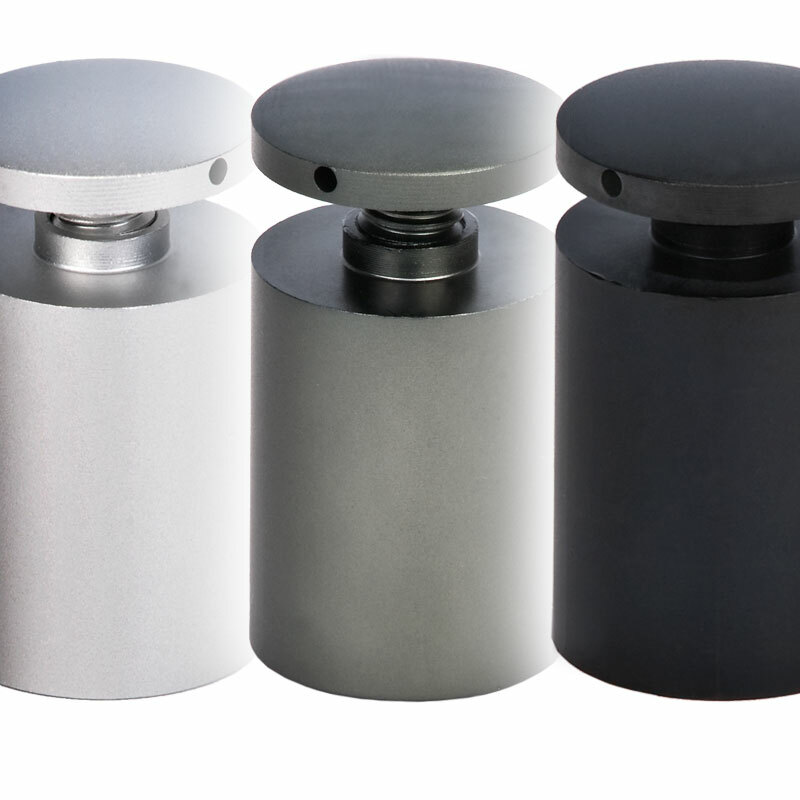 When a really BIG standoff is required, try our 1-1/4" diameter mounts, each over 1 lb. of solid metal! 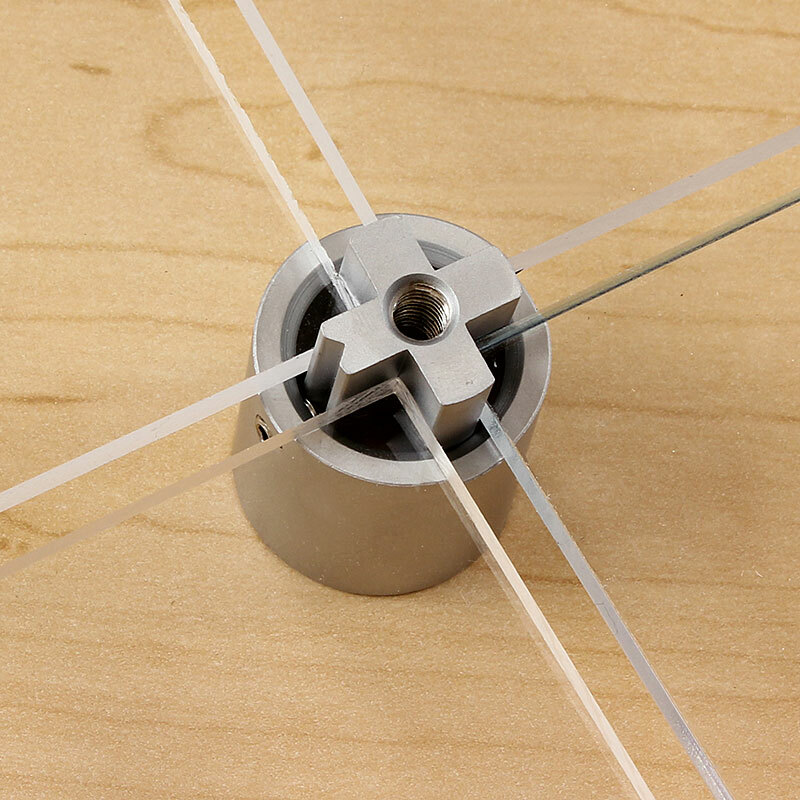 Two types of edge grip standoffs: the single slot for mounting one sign and the double slot for directories. 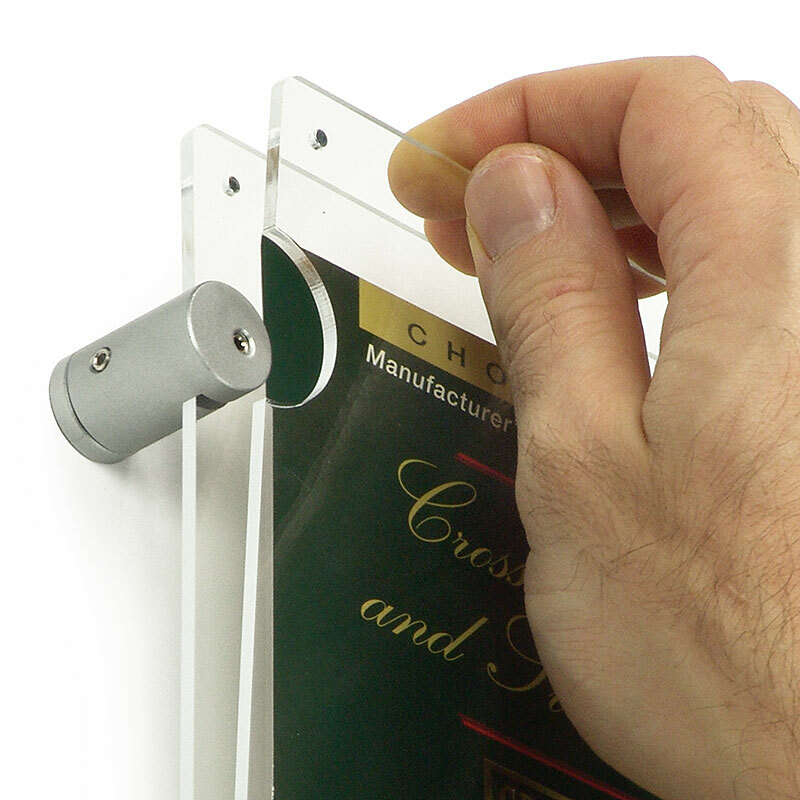 These sign holders mount with standoffs yet allow easy access for sign and poster changes. 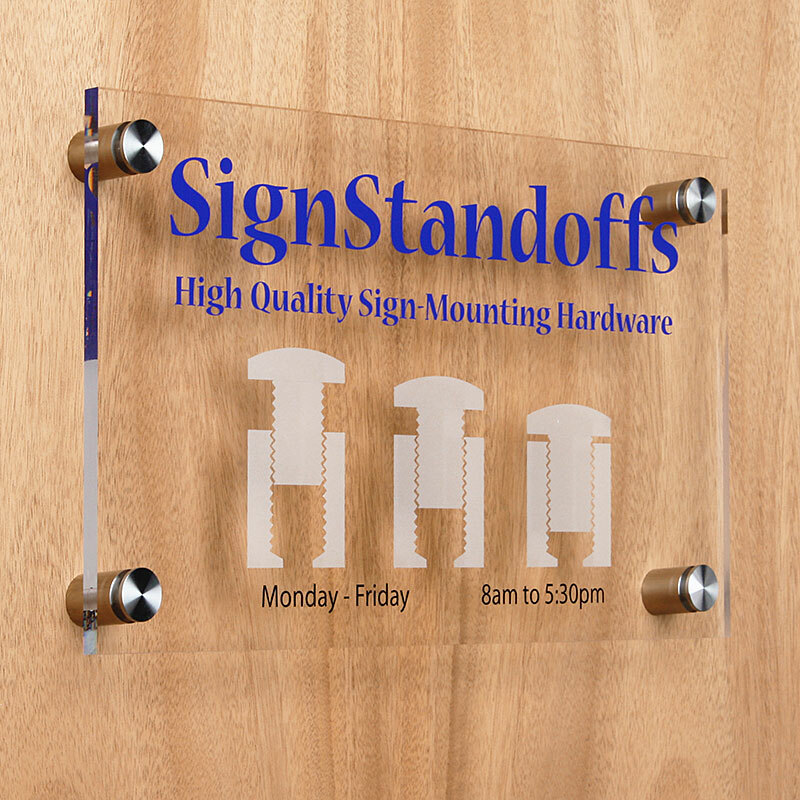 This 4-way standoff supports sign panels at the corners, therefore requiring no holes through your signs. Top view. 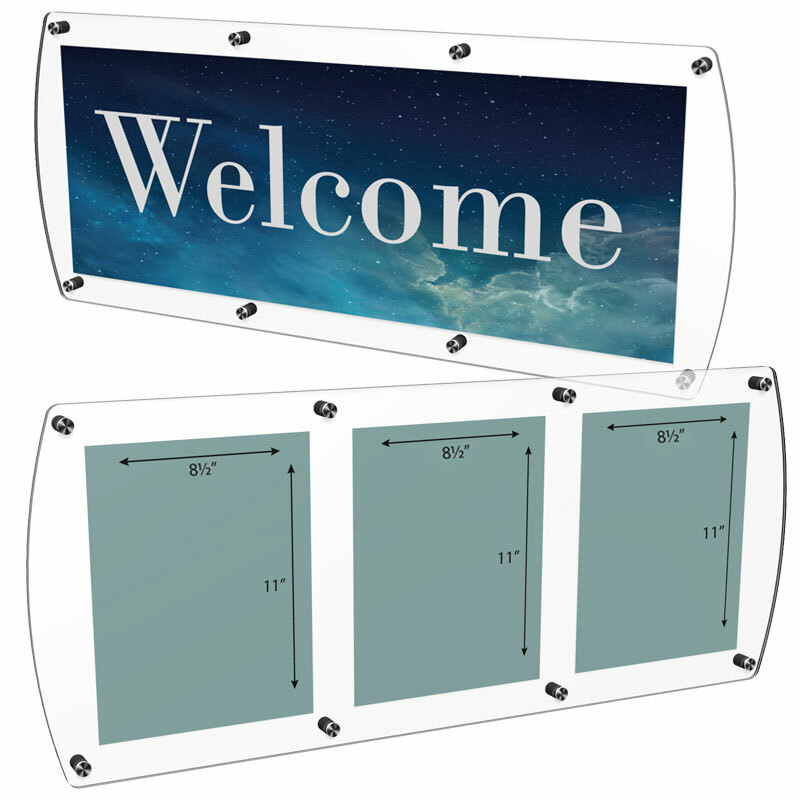 The insert holds the panels in place, a good choice for creating wall arrays & matrices. 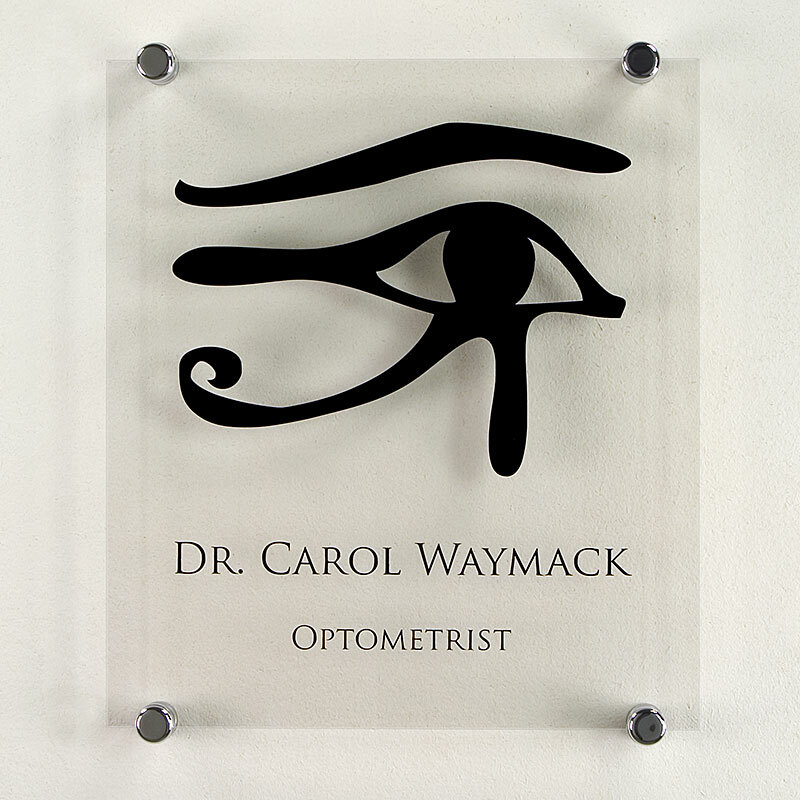 Acrylic wall sign holder with six standoffs for three 8-1/2" x 11" inserts or one 26" x 11" poster. 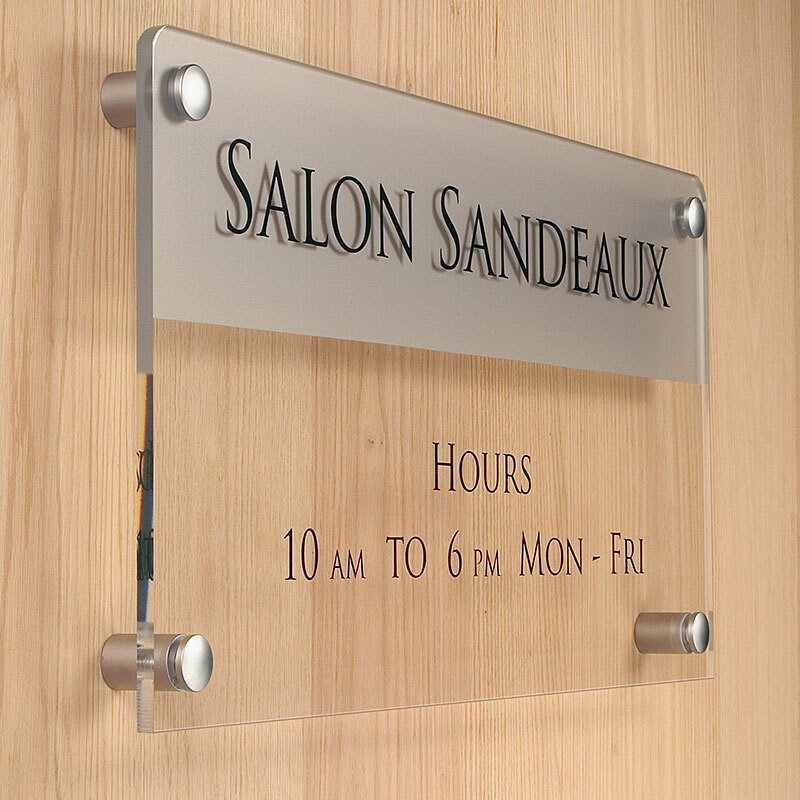 These satin silver sign mounts affix your double-sided sign for hallway viewing in both directions.